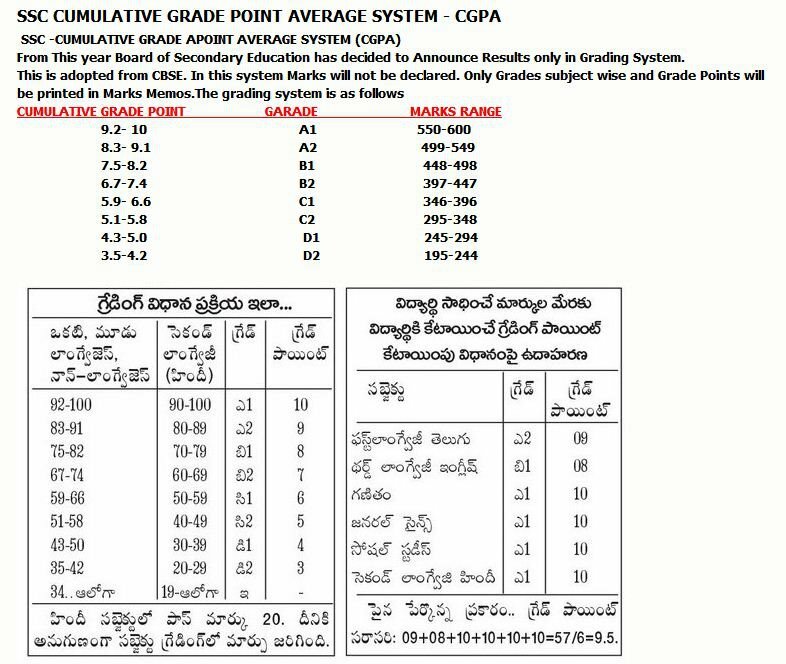 Government of andhra , started new grade system for SSC / 10th class students. 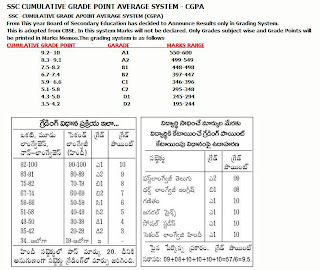 Many students are curious to calculate there marks based on the grades. I think the below picture will give you proper explanation about the calculation. Click on the below image to view properly. Final grade is 52/6 = 8.67 = A2 Grade. According to ur calculation, . then, 10/10 is 600. .